Kim Zolciak Thinks Kenya Moore Has No Soul! Yikes! That’s a lot to say about a person that you’re unfamiliar with. 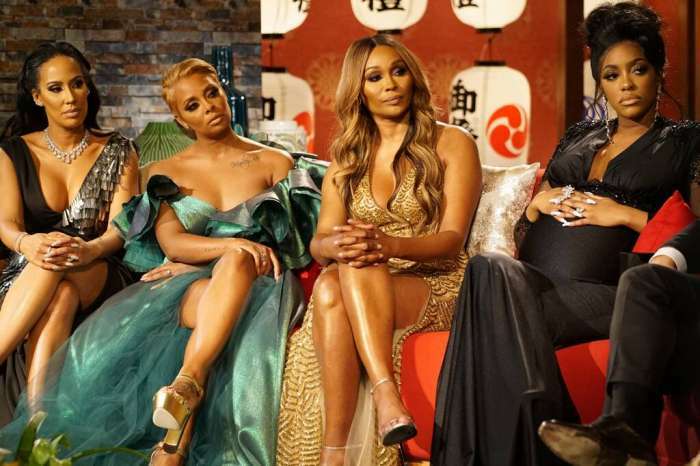 Kim and Kenya have been feuding ever since Kenya made fun of Chateau Sheree (aka Sheree Whitfield’s huge house) in the previous installment of the Bravo show. The ladies both have huge personalities so fans can definitely expect them to bring the drama. Kim may be trying her best to ignore Kenya’s snarky comments because she has bigger fish to fry. Zolciak is in the middle of a heated feud with co-star Nene Leakes after her daughter, Brielle Biermann, posted a roach that she saw in Nene’s house on Snapchat. Nene responded by calling out Kim and her daughter on social media even comparing them to the KKK! The 39-year-old is taking those claims very seriously because she’s hired lawyer Marty Singer to represent her in a lawsuit against Leakes. If you’re holding out hope that the two will be friends again, it’s not looking so good. “Saying I’m part of the KKK was the demise [of our friendship]. I’m not a part of that, I’ve never been a part of that. To insinuate something so ridiculous in this day and age when people are actually dying over racism, is pretty gross,” the reality star told the publication. It looks like the only castmate Kim is friends with is Sheree Whitfield! Do you think there will ever be peace among the ladies? Patton Oswalt And Meredith Salenger Get Married Just 15 Months Following His First Wife's Death - Check Out The Photo!